Having admired Richard Dix's performance in HELL'S HIGHWAY (1932) last weekend, I wanted to see another Dix film and chose SPECIAL INVESTIGATOR (1936). 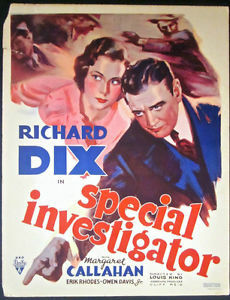 SPECIAL INVESTIGATOR, which aired on Turner Classic Movies a few days ago, is a satisfying 61-minute programmer with Dix carrying a majority of the scenes. 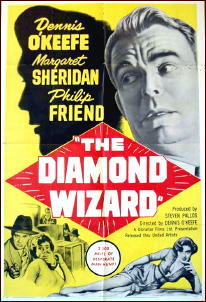 It was based on a story by Erle Stanley Gardner, creator of Perry Mason. Dix plays attorney Bill Fenwick, who as the movie begins has just gotten mobster Benny Gray (Erik Rhodes) acquitted from a felony conviction. Benny is grateful and pays Bill well, but Bill takes to heart the judge's statement that his work getting Benny off was an affront to society. (So much for every defendant deserving a legal defense!) When Bill's G-man brother (Owen Davis Jr.) is gunned down by mobster Eddie Selton (J. Carrol Naish), Bill sets aside his practice to help the feds nail Eddie. Bill goes undercover in a small town outside Reno, where the injured Eddie is holed up with his gang. Bill also meets and falls for Virginia (Margaret Callahan), not knowing that she's Eddie's sister. It's a fast-paced and entertaining movie which uses an interesting device to compress time in a couple of places, mixing traditional newspaper headline montages with random "talking head" shots with verbal reactions to events. Dix carries the movie well, bringing emotional nuances and depth to a character who is fairly sparely written. He can do things, such as the look on his face when he gets a phone call, that less talented actors might not be able to bring to a part. He interests me more with each film I watch. 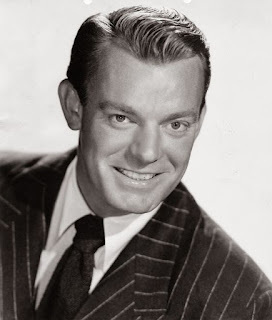 It was interesting seeing Rhodes, whom I associate with his funny, heavily accented characters in early Fred & Ginger movies, with a very different movie persona. 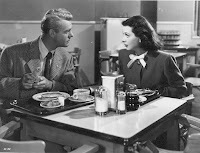 He has a good scene late in the film where he runs into Bill in a Reno nightclub and immediately plays along when Bill pretends not to know him, while Bill's ex-girlfriend (Sheila Terry) is more dense. 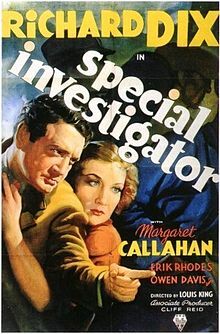 I was unfamiliar with Margaret Callahan, the leading lady in half a dozen films in 1935 and 1936, who then left the screen. 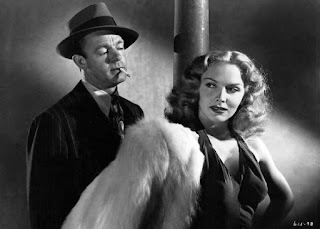 Callahan, who reminded me a bit of Fay Wray, was born in 1910. IMDb doesn't list a date of death, but other resources on line say she passed away in 1981, age 71. 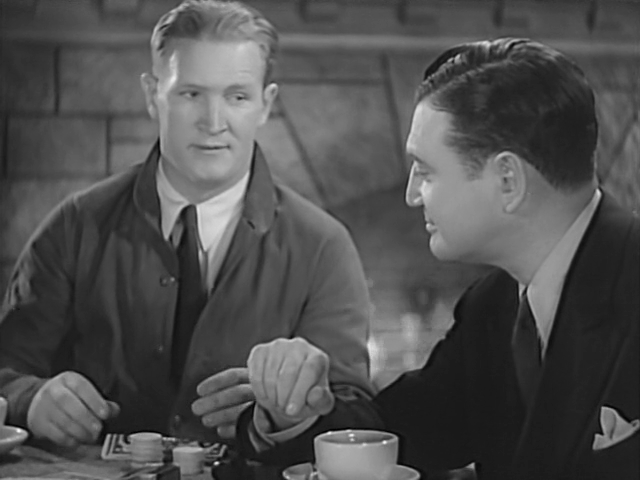 Joe Sawyer leads the supporting cast as Eddie's nasty henchman, with other roles played by J.M. Kerrigan, Russell Hicks, and Jed Prouty. 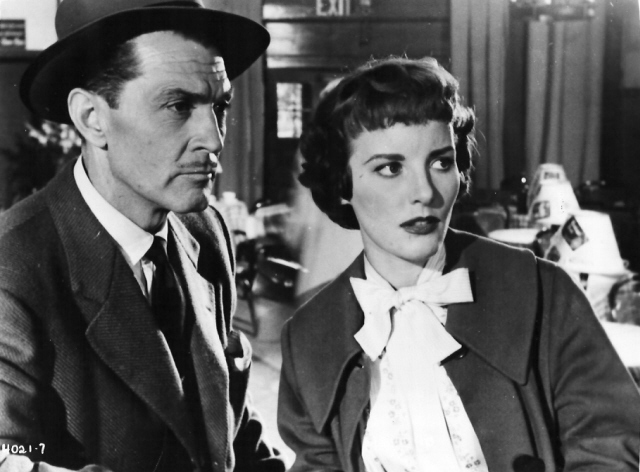 SPECIAL INVESIGATOR was directed by Louis King and filmed in black and white by Edward Cronjager. SPECIAL INVESTIGATOR also got a thumbs up a few years ago from Steve at Mystery File. 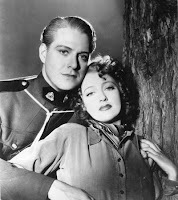 Jeanette MacDonald and Nelson Eddy make movie magic once again in ROSE-MARIE (1936). 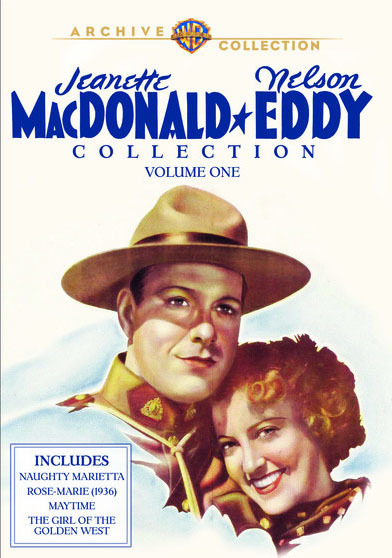 ROSE-MARIE is part of the four-movie, four-DVD Jeanette MacDonald and Nelson Eddy Collection, Volume One, available from the Warner Archive. 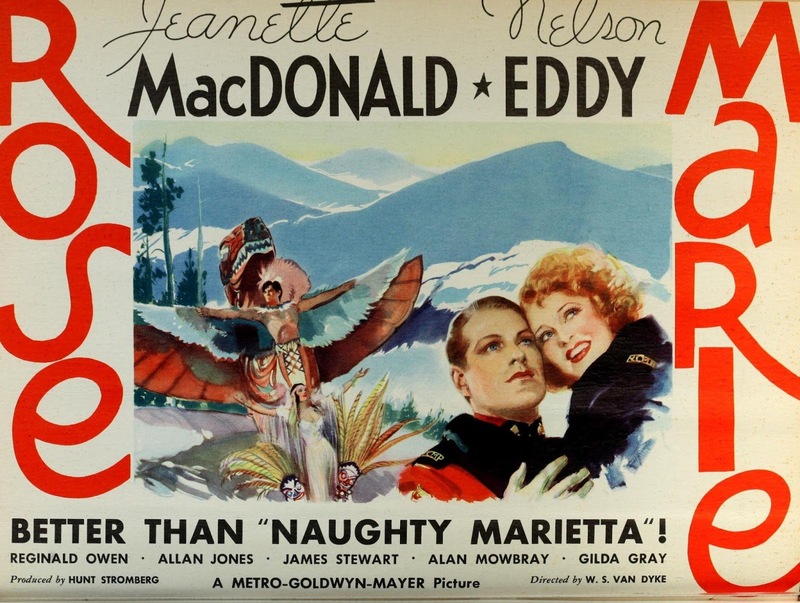 I've previously reviewed NAUGHTY MARIETTA (1935) from this set. With its "Western" (Northern?) setting, ROSE-MARIE is fairly different from costume pictures like NAUGHTY MARIETTA or Volume II's NEW MOON (1940), and it's also something of a contrast with the somewhat more modern and urban setting of Volume II's SWEETHEARTS (1938). 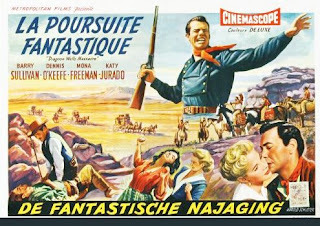 What it has in common with those films is that it's prime Jeanette and Nelson, with much of it filmed in the great outdoors. When they launch into their famous "Indian Love Call," it's sheer bliss. The beauty of the music and the innocent sweetness of their performances, combined with their genuine affection for one another, makes their duets very moving. I don't mind admitting I teared up when they reprised "Indian Love Call" in the final scene, which is simply exquisite. 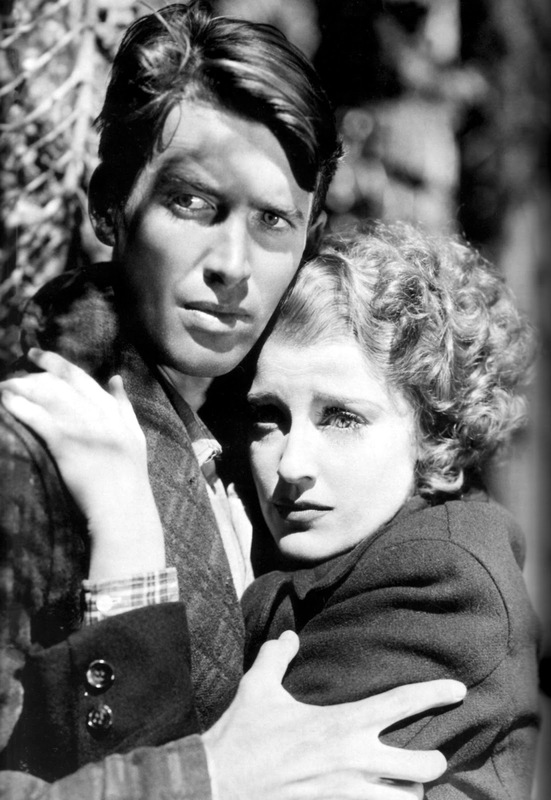 Jeanette plays Marie de Flor, a famous Canadian opera singer who abandons her performances and heads to the mountains when she hears her brother John (a young James Stewart) has escaped from prison; she intends to find him and help him in some way. After being robbed by her guide (George Regas), Marie meets Sergeant Bruce (Eddy), who calls her Rose-Marie. The sergeant is duty-bound to find her brother himself and bring him in, regardless of the love he comes to feel for Rose-Marie. 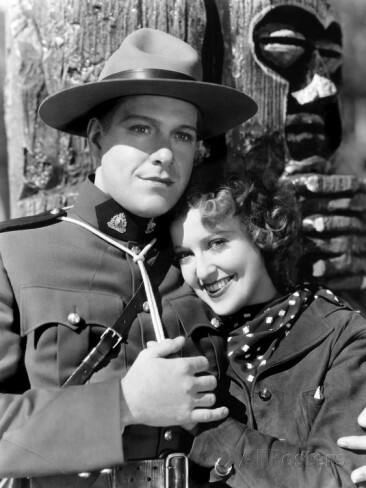 Much of the film consists of the Mountie and Marie singing while traveling through the woods, with Lake Tahoe standing in for Canada. The 113-minute plot could have moved slightly faster, but one only has to wait a couple of minutes and they start singing again, and what's better than that? There are also two lengthy opera sequences, from ROMEO AND JULIET and TOSCA, with Allan Jones singing opposite MacDonald. The star of SHOW BOAT (1936), Jones would star opposite MacDonald in THE FIREFLY (1937) the following year. 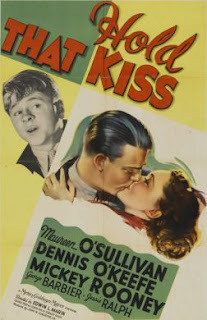 The cast includes Reginald Owen, Una O'Connor, Alan Mowbray, and Lucien Littlefield. David Niven (billed "Nivens"!) is delightful in his one scene. Among other things, ROSE-MARIE is a great chance to see two future Oscar winners, Stewart and Niven, very early in their careers. W.S. Van Dyke directed, with photography by William Daniels. In 1954 MGM dropped the hyphen from the title, changed the plot, and reused the songs in ROSE MARIE, starring Howard Keel, Ann Blyth, and Fernando Lamas. The MacDonald-Eddy set I received for review consisted of silver-backed pressed discs. The Archive typically presses discs for the initial sales of sets which are expected to sell in large numbers, and the pressed sets are available only from the WBShop, not other vendors. At some point, after the pressed discs run out, the sets will ostensibly then be manufactured on demand. The ROSE-MARIE disc includes the trailer. I'll be reviewing the other two films from this set, MAYTIME (1937) and THE GIRL OF THE GOLDEN WEST (1938), in the future, along with two more films from Volume Two. It's been a great joy rediscovering how much I love Jeanette MacDonald and Nelson Eddy thanks to watching their films for the first time in years. Highly recommended. 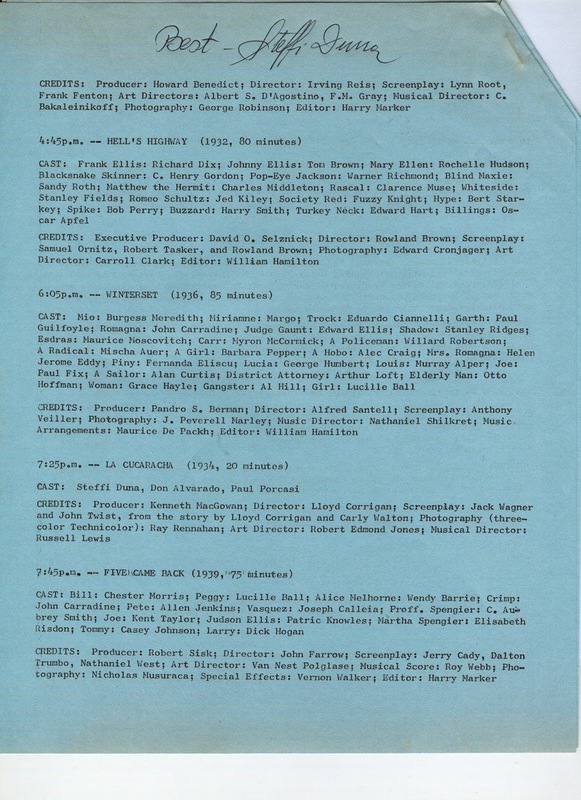 ...This week's roundup starts by noting the passings of two men whose TV work has meant a great deal to me, Earl Hamner Jr. and Peter Brown. Hamner passed on at 92; I will forever be grateful to him for creating one of my all-time favorite TV series, THE WALTONS. Peter Brown, who died at 80, played Deputy Johnny McKay on LAWMAN, which also starred John Russell and Peggie Castle. I have reviewed the first and second seasons of the series. 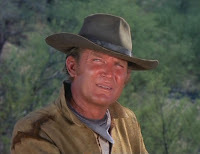 ...Over at Classic Film & TV Cafe, Rick has a terrific interview posted with Don Collier of THE HIGH CHAPARRAL. 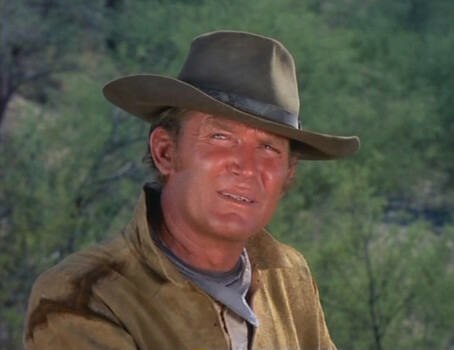 Don talks about the challenge of working with Cameron Mitchell, whose personality doesn't sound that dissimilar from his role as Uncle Buck, and of his admiration for John Wayne. ...And while you're at Rick's site, also check out his interview with Audrey Dalton. I loved reading her kind words regarding her DRUM BEAT (1954) costar Alan Ladd and her THE MONSTER THAT CHALLENGED THE WORLD (1957) costar Tim Holt. She said she's still friends today with Ladd's daughter Alana. ...From Architectural Digest a few years back, a slideshow tour of Jimmy Stewart's longtime home on Roxbury Drive in Beverly Hills. ...Great things are coming from the Warner Archive in April! In addition to the previously mentioned Blu-ray of SUSAN SLEPT HERE (1954) and Volume 10 of the Forbidden Hollywood Collection, there are a wealth of Robert Taylor and Robert Montgomery films coming out next month. 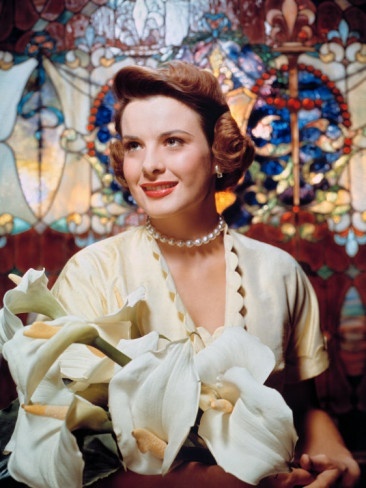 Tops on my list is the long-awaited DVD release of Taylor's weird and wonderful WWII propaganda flim SONG OF RUSSIA (1944), costarring the luminous Susan Peters. ...The Self-Styled Siren, Farran Nehme, has written about the 1933 and 1994 versions of LITTLE WOMEN for the Library of America's series, The Moviegoer. ...Netflix has admitted to throttling streaming speeds for its customers watching on Verizon and AT&T devices in order to prevent its customers from exceeding mobile data caps. The data providers who profit from excess usage aren't happy. 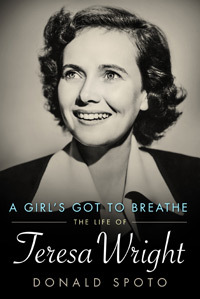 ...At A Classic Movie Blog, my friend KC has reviewed Donald Spoto's new biography of Teresa Wright, A GIRL'S GOT TO BREATHE. It's out from the University Press of Mississippi. I know many of my readers love Wright, as I do, and will want to check out the new book! 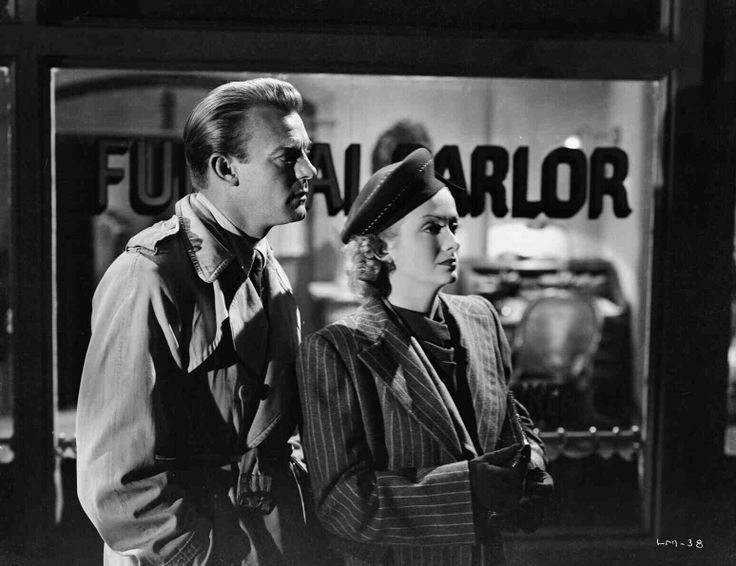 ...Here's Ivan at Thrilling Days of Yesteryear on the Jon Hall-Louise Allbritton comedy SAN DIEGO I LOVE YOU (1944) -- which is in my "watch" stack! -- while also paying tribute to Leonard Maltin. ...Additional notable passings: Comedian Garry Shandling, enjoyed by me as Senator Stern in the Marvel films IRON MAN 2 (2010) and CAPTAIN AMERICA: THE WINTER SOLDIER (2014), died suddenly of a heart attack at the age of 66...Actor Ken Howard, who was serving as the president of the Screen Actors Guild at the time of his passing, has passed away at 71...Actress Rita Gam, who was a bridesmaid at Grace Kelly's royal wedding, passed on at the age of 88. ...For even more classic film links, please visit last week's roundup! Happy Eastertide, and have a great week! 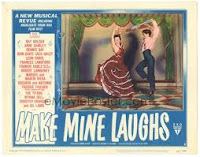 MAKE MINE LAUGHS (1949) is part of an RKO Varieties Triple Feature, newly released by the Warner Archive. All three films in the set are anthologies which use footage from older RKO productions. 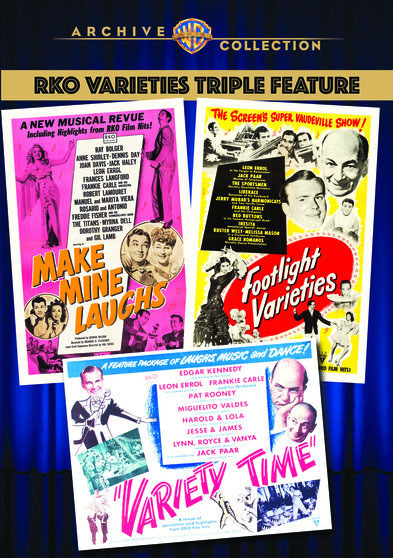 (The MAKE MINE LAUGHS title card says it's "A new musical revue including highlights from RKO film hits.") MAKE MINE LAUGHS is hosted by Gil Lamb, while the other two films, VARIETY TIME (1948) and FOOTLIGHT VARIETIES (1951), are hosted by Jack Paar. As a fan of both musicals and RKO, I was intrigued by these films, as I'd never heard of them before. 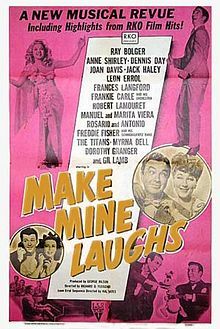 I began with MAKE MINE LAUGHS due to my interest in Anne Shirley and Frances Langford, who are among the entertainers seen in the clips. As it turned out, Shirley and Langford's clips were pretty much the only worthwhile thing in the movie! 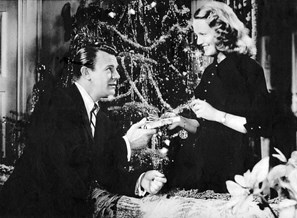 Langford is seen singing "Moonlight Over the Islands" in a clip from THE BAMBOO BLONDE (1946). Shirley and Dennis Day sing "Did You Happen to Find a Heart?" which a bit of Googling told me was from their film MUSIC IN MANHATTAN (1944). There's an overlong skit which was originally a short called BEWARE OF REDHEADS (1945), in which Leon Errol tries to keep his wife (Dorothy Granger) from finding out about his girlfriend (Myrna Dell). A dance by Rosario and Antonio is unfortunately interrupted by inserts of host Lamb mugging with monkeys. Otherwise, the segments are pretty low rent; if monkeys playing musical instruments and vaudevillians acting like hicks are your cup of tea, go for it! A short from RKO's "Flicker Flashbacks" series was especially tiresome. I found this 63-minute film of interest mostly for historical reasons, being rather curious that it existed in the first place. Fun to note that exactly a month ago I saw an anthology film with a very similar title, Disney's MAKE MINE MUSIC (1946). Disney's film, which consisted of unused FANTASIA animation and brand-new sequences, was much the better movie. MAKE MINE LAUGHS was directed by Richard Fleischer, who would go on to better things such as THE NARROW MARGIN (1952), and Hal Yates. Yates also directed the other two films in the set. The clips used in the film are of varying quality; some of it looks pretty good and other scenes are on the scratchier side. There are no extras. I'll be reviewing the other films in the set, VARIETY TIME and FOOTLIGHT VARIETIES, at a future date. 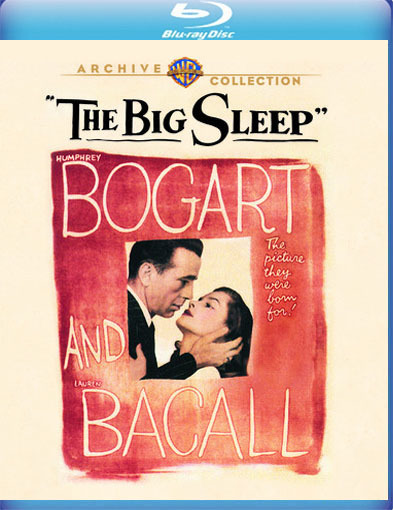 The Warner Archive has released the classic THE BIG SLEEP (1946) in a beautiful Blu-ray with a deluxe package of extras. I first watched THE BIG SLEEP dating back to my earliest years as a classic film fan, when KTLA's Channel 5 showed it regularly as an 8:00 p.m. movie. Of course, watching it then as a kid, with commercials and missing scenes, I couldn't have envisioned enjoying it in such a beautiful print. And as much as I love seeing films in 35mm, I suspect this print also surpasses that which I saw in the '70s at the Fine Arts Theater in Beverly Hills. It's a glistening black-and-white beauty. I really enjoyed sitting down with this film for the first time in at least a decade...and no, as many times as I've seen it, I can't claim to understand it any better than I have in the past. I won't even attempt a plot summary. 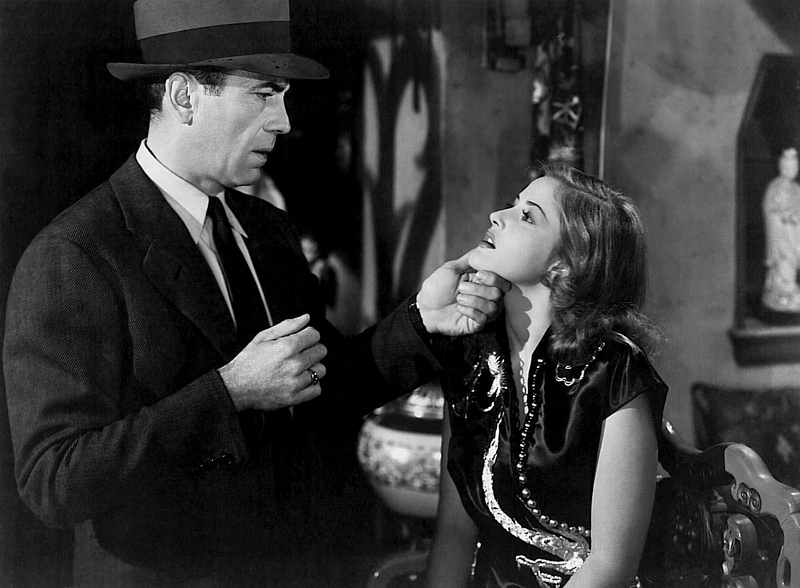 Suffice it to say Humphrey Bogart plays Raymond Chandler's private eye Philip Marlowe and interacts with some of the craziest, crookedest people in Los Angeles. The really curious thing about THE BIG SLEEP is that as hard as the plot is to follow, the individual scenes are each so stylish and arresting that it really doesn't matter. Somehow the parts are worth more than the whole, and the movie just washes over the viewer like a fascinating, slightly disconnected dream. 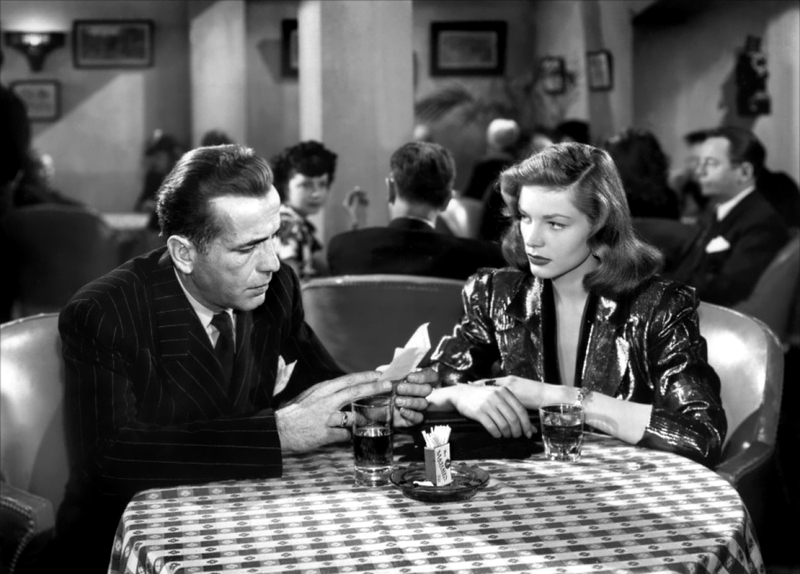 There are many great scenes, but I think my favorite is Bacall at the roadhouse singing "And Her Tears Flowed Like Wine" as she and Bogart nod and acknowledge one another from a distance. It's got great style, and you can feel their connection across the room. Beyond the legendary chemistry of Bogart and Bacall, it's the wealth of supporting actors who make the film so endlessly interesting. Martha Vickers, who more typically played girl-next-door sweethearts, makes a splash from the moment her disturbed, thumb-sucking Carmen throws herself into Marlowe's lap (as he notes, while he's standing up). 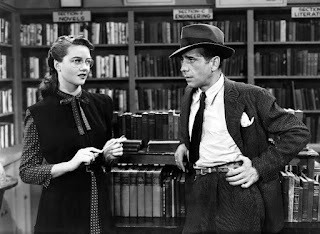 There's Dorothy Malone, killing it in her one sequence as a bookstore clerk who takes off her glasses and enjoys an afternoon with Marlowe when he uses her store for a stakeout. 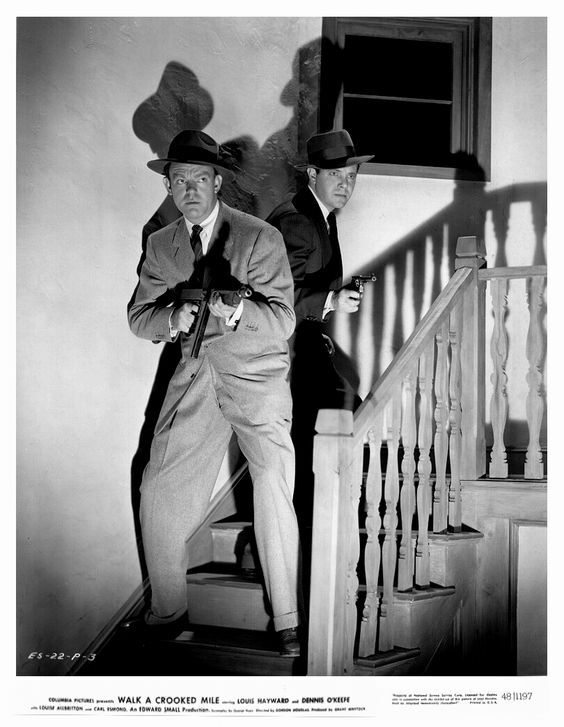 Then you've got faves like Regis Toomey as the police inspector, John Ridgely as Eddie Mars, and Louis Jean Heydt as Joe Brody...plus Elisha Cook Jr., Bob Steele, and even Bess Flowers. It's a bit like attending a party to which all your favorite character actors show up. Howard Hawks directed, with gorgeous filming by Sid Hickox. The theatrical release runs 114 minutes. 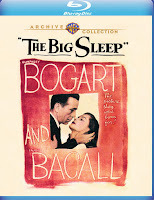 This Blu-ray set also includes the 116-minute pre-release version which was mostly seen by servicemen overseas; this version, included here in standard definition, was extensively edited and Lauren Bacall's role reshaped. The disc also includes a presentation by UCLA's Robert Gitt comparing the two versions, which is longer than an edited version which appeared on the previous DVD release. I've never seen the prerelease version of the movie and intend to watch it soon; I'm especially intrigued that Glenn Erickson says the cops have much more screen time in that one, as it sounds like I'll get to see more of Regis Toomey's character. 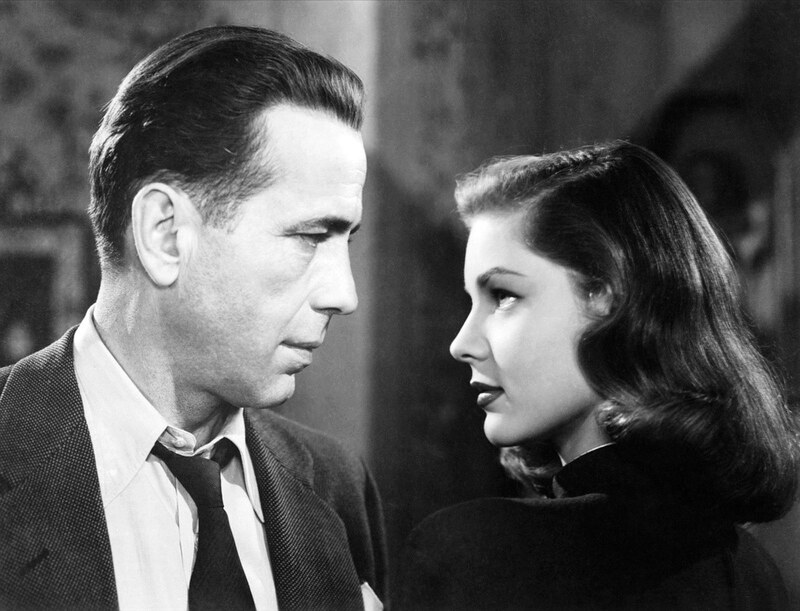 Coming soon: A look at the Warner Archive's new Blu-ray release of Bogart and Bacall's KEY LARGO (1948). Here's a publicity photo of lovely Jean Peters celebrating the holiday. Last week the Warner Archive announced a new Forbidden Hollywood set is coming in April! Forbidden Hollywood Volume 10 will contain GUILTY HANDS (1931), THE MOUTHPIECE (1932), SECRETS OF THE FRENCH POLICE (1932), THE MATCH KING (1932), and EVER IN MY HEART (1933). The Archive also said that Volume 10 will be the last in the series, adding "There are many more pre-code releases in the offing, but we thought it best to end this series on a high note, with a great 10th and final volume. We trust that fans will be pleased." The news prompted me to return to the Archive's Forbidden Hollywood Volume 9 set. 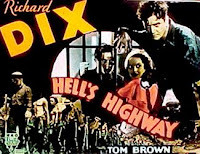 I've previously reviewed BIG CITY BLUES (1932) and I SELL ANYTHING (1934) from this collection, and tonight I watched Richard Dix in HELL'S HIGHWAY (1932). 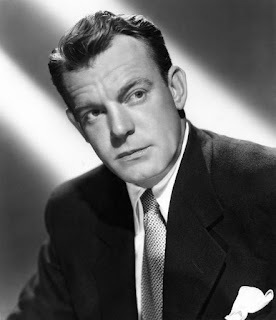 I've gradually come to admire Dix as I've seen a number of his films over the past couple years, with favorites including THE PUBLIC DEFENDER (1931), IT HAPPENED IN HOLLYWOOD (1937), and TOMBSTONE: THE TOWN TOO TOUGH TO DIE (1941). 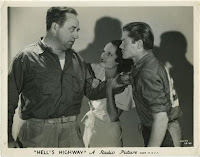 HELL'S HIGHWAY is a different kind of film altogether, with Dix playing a convict suffering inhumane conditions while working on a chain gang. The prisoners are building a "Liberty Highway," aka Hell's Highway. 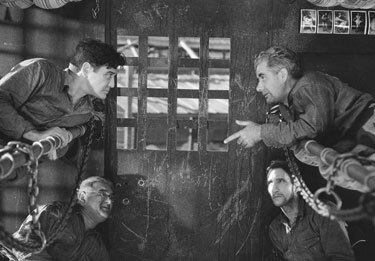 Duke Ellis (Dix) plans to escape the chain gang, when his kid brother Johnny (Tom Brown) unexpectedly arrives at the camp as the newest prisoner...and Duke knows he needs to stick around to ensure his brother's survival. 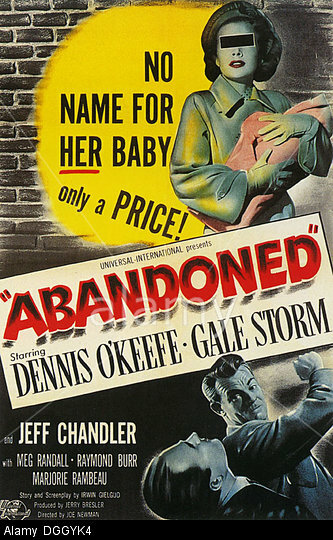 In all honesty this movie, which purports to depict conditions which were still common in that time, is a gritty film which isn't especially pleasant to watch. A scene where an injured man is tortured to death in a "sweat box" had me hitting the fast-forward on my remote. A card at the beginning of the film says it was made to call attention to such inhumane conditions, but while it may have served that purpose well, I'm not sure whether I'd call it precisely "entertainment." In fact, the original 1932 New York Times review said the movie "fails by being overeager to horrify audiences." In its favor, the film's short 62-minute running time does help make it more bearable. And although I wasn't very enthused about the story, Dix is simply superb as the tough convict, and I was glad I saw the film for that reason. He completely sells his part as a man who can take the worst and dish it right back, but who has a soft spot for his little brother. Dix continues to grow in my estimation. Brown is also good in the younger role; he's an appealing juvenile lead, in contrast with the annoying Eric Linden of the set's BIG CITY BLUES. Charles Middleton has a good part as a somewhat loony preacher, channeling John Carradine. The cast also includes Rochelle Hudson, Stanley Fields, Fuzzy Knight, Clarence Muse, Louise Carter, and C. Henry Gordon. Watch for Louise Beavers in a one-scene role. Also of note is the soundtrack of spirituals, sung by the Etude Ethiopian Chorus. The music gives the film a real sense of style, and setting aside my reservations about the plot, the music and Richard Dix are good reasons to see the movie. HELL'S HIGHWAY was directed by Rowland Brown and filmed by Edward Cronjager. The disc is a good print. There are no extras. There are two additional films in this set, THE CABIN IN THE COTTON (1932) and WHEN LADIES MEET (1933), which will be reviewed at a future date. 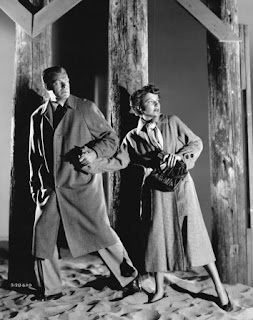 TRACK THE MAN DOWN (1955) is a Republic Pictures film noir made in England, starring American actor Kent Taylor and British actress Petula Clark. The movie seems to slightly foreshadow Stanley Kubrick's THE KILLING (1956), following the misadventures of a group of thieves following a robbery at a dog track. The robbers' car crashes during a police chase and the men split up, then try to hunt down Rick (George Rose), who made off with the suitcase of money. 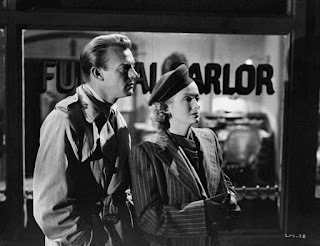 American reporter John Ford (Taylor) is drawn into the situation after he "meets cute" with pretty June Dennis (Clark) in a phone booth. June's sister Mary (Ursula Howells) is Rick's girlfriend, and after Rick stashes the suitcase with Mary, innocent June ends up literally holding the bag when she's asked to deliver it to Rick. June and John, who eventually figure out what's inside the bag June is carrying, end up on a bus with Rick and another of the robbers, plus an assortment of characters including an actress (Renee Houston) and a mother (Mary Mackenzie) with her little boy (John Pike) and infant daughter. 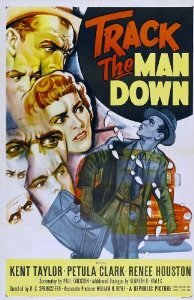 TRACK THE MAN DOWN is a moderately entertaining crime film. It starts out too slowly as the script meanders about, following different characters. 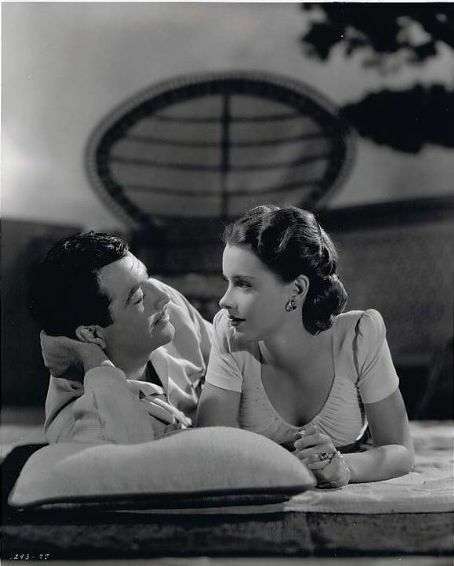 In the second half of the film, when Clark and Taylor move front and center, with the story focusing on their bus trip, it becomes more enjoyable. 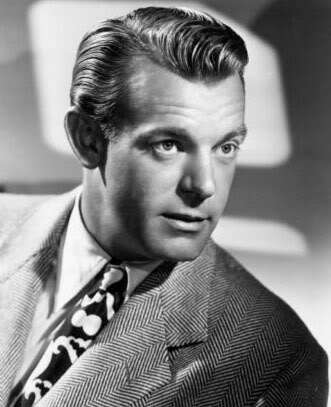 I always enjoy Kent Taylor, best known as the star of "B" films such as the classic FIVE CAME BACK (1939) and more minor fare such as WESTERN PACIFIC AGENT (1950). His wisecracking reporter helps enliven the proceedings, and though he was significantly older than costar Clark, they have a nice rapport and are pleasant to watch together. Houston does a nice turn as a temperamental actress, rising to the moment when she tells off Rick for refusing to get the sick baby medical care. It's a good role, and she makes the most of it. 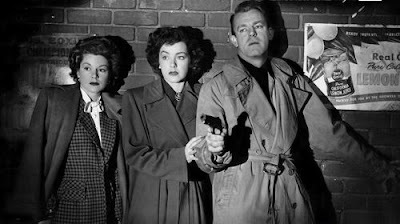 TRACK THE MAN DOWN isn't as interesting as some of the other British-American noir of the era I've watched, but fans of the subgenre will probably enjoy checking it out, as I did. TRACK THE MAN DOWN was directed by R.G. Springsteen and filmed in black and white by Basil Emmott. It runs 75 minutes. TRACK THE MAN DOWN is available on DVD and Blu-ray from Olive Films. It can be rented from ClassicFlix in either format. 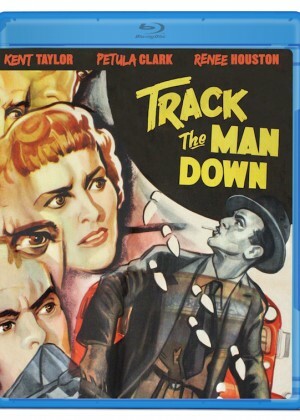 TRACK THE MAN DOWN is also available to stream for free on YouTube at the Paramount Vault site.